The insanely popular boy band One Direction performed on Saturday Night Live and even did a duet with the cast of Anchorman 2 (Will Ferrel, Steve Carell, Paul Rudd). 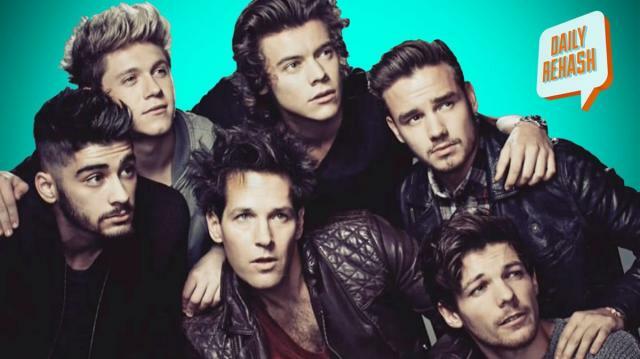 We have to admit, One Direction, led by Harry Styles, are really coming into their own as singers! Well, except for one of them… (and his name is Louis…). Win 2 Tickets to Hunger Games: Catching Fire!